Bike should have all major parts—including two good/straight wheels, handlebars, seat post, cranks and fork. 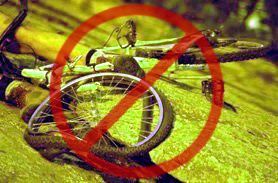 Flat tires are ok.
Bike does not have dents, cracks, bent frames or forks or any other structural damage. Safety of the kids relies on our equipment. Bike parts should have all pieces included and installed. Please do not donate broken or dismantled parts and/or parts with missing pieces. These guidelines help to make sure that we don’t receive bikes/parts that require too much time and effort to repair and end up making large piles of bike materials that we don’t use. If you are not sure about the condition of the bike or think that you have an exception to these guidelines please call Lance Biscoe @ 805-796-6297 or Danny Ybarra @ 818-554-4480. You can also send us an e-mail to youth@corbamtb.com with a description of what you have. All donations are tax-deductible. Ask for a donation receipt at the time of donating. Thanks for supporting CORBA’s Youth Adventures program.